Blog with latest news, events, tournaments, postal league results, dates for the diary and general shooting information. A big congratulations to Geoff Ingleby who travelled down to the Bowmen of Rutland on Sunday 21st October to take part in a Double Metric Clout Competition. Shooting in the Barebow class he won the event with a score of 292, this giving him the third score he needed to achieve Grand Master Bowman classification for this year. It is quite sometime since the club has had a Grand Master Bowmen as part of our membership and it is a fitting reward for all the hard work and dedication Geoff has put in to change from being a right to left handed archer. He just needs to wait for the badge to drop through the letterbox so he can wear it with pride. Many congratulation from all at Ebor Archers. Good news, I have just received the results for this summer’s postal league competition. For those of you who may be wondering what this is, I will explain. For each of the 5 summer month a short metric round is shot at each club and the 3 archers with the highest scores in the club form the team. The team score is sent to the national organiser for the competition who records all the results. The competition is against other clubs in the country and we were placed in Division 5 of the 20 divisions in the competition. There are 6 teams in each division. Over the summer we won 3 matches and lost 2, but we scored very well. We finished second in our division with a total aggregate points score for the competition of 8215. Looking at the final results table for all 20 divisions, this aggregate score was the 18th highest scored of the 180 teams in the competition. Should we enter the competition again next summer we could be promoted into division 3. Well done to all those of you who submitted your scores. 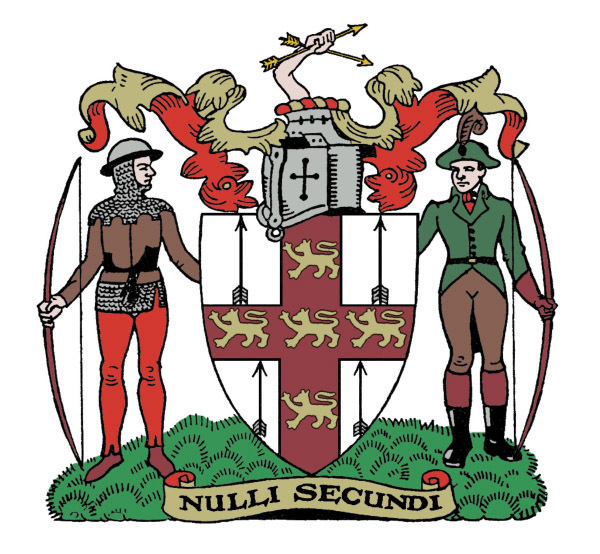 The results are now published for the BA Postal League for the winter of 2017/18 in which we entered a team in the Portsmouth Recurve Bow category. We were placed in Division 12 where we had mixed fortunes with 2 wins and 3 defeats, but this was sufficient to place us 3rd in the division. The scoring was very close between the top three clubs with aggregate scores over all the matches of 8245 and 8277 against our 8206, so you can see we were not far off the mark. I have not had the results of the first round of the summer postal league yet, but I will pop a note up when it arrives. The last match of the indoor season unfortunately did not yield any success. We were against "Archers of the West A" who posted a score of 1667 whilst Steve, Will and myself submitted a score of 1660. I await the final tables from the organiser and when these are to hand I will share them with you. We have entered the Selby Summer Postal League again this year, so practice your short metrics as we will have matches to shoot each month between May and September. Geoff Ingleby's progress with the Barebow just keeps on going. Last Saturday he took on all comers to win the Yorkshire Archery Association's World Archery Clout at Hutton Cranswick, with an impressive score of 291 and in the process gaining his first Grand Master Bowman classification of the year. On Sunday he followed this up by winning the Yorkshire Archery Association's Championship shooting an Archery GB Clout with a score of 172, a score which gave him his first Master Bowman score of the year. We wish him well in his endeavours for the rest of the year. Well would you believe it Steve finally got round to making up a set of arrows, with flashy vanes, for outdoor shooting and what does he do???? Yes, Robin Hooded one at 60 yards, at least it was just in the Gold. So now he is down to less than six arrows again for shooting outdoors!!! Well that's the end of another indoor season and we are outdoors from now until mid September. Shooting nights are Tuesday and Thursday at Long Marston. As it currently gets dark quite early in the evening there will be no fixed start time until mid May, so please arrive as soon as you can, say between 5.30 and 6.00pm, and we will shoot until dusk. Steve Prinn, Emma Del Gallo and myself achieved a score of 1648 in the February round of the British Archer Postal League. This was more than sufficient to overcome the SportsAble Archery A Team's score of 1565 and means we have won two and drawn two matches so far this indoor season with only the March round left to shoot. January's result was very close with Steve, Ian and myself posting a score of 1648, but unfortunately we were pipped to the post by Crystal Palace Bowmen who scored 1653. The date of the Club's Indoor Championship has changed from 12th to 19th February as the 12th clashes with school half term and a significant number of members are not available on that date. The club's indoor championships will be held on Monday 12th February 2018 at Askham Bryan College. We will shoot a Portsmouth round and there will be awards for Ladies, Gents, Junior Girl and Junior Boys. The results, where possible, will be based on Handicap so please let Steve have your scores from this indoor season so he can keep your handicap up to date. The overall champion will be decided on Handicap. Geoff Ingleby rounded off his very successful year of Barebow Clout shooting by achieving fifth place in the National Rankings. He was ranked third in the Imperial classification, but did not shoot sufficient rounds for a rating in the Metric classification. However, with the few rounds he did shoot at metric tournaments, added to his great scores in the Imperial tournaments he was able to secure a creditable position of fifth in the overall rankings. With a few more metric rounds planned for next year who knows where he will end up. Congratulations on a great years shoot Geoff. This is notice that the next Annual General Meeting will take place on Tuesday 16th January 2018 at the Long Marston Village Hall starting at 7.00pm. Steve will be sending out all the paperwork in the near future, but please reserve the date in your diary. Good news. We had our first match of the winter league against St Georges and Steve Prinn, Geoff Ingleby and myself produced a score of 1617 to take the victory by 16 points. Will has called the December match for Monday 11th December so please try to attend and submit your score. The last Monday before Christmas will be 18th December and we will start back in the New Year on Monday 8th January. The last Thursday before Christmas will be 21st December and we will start back in the New Year on Thursday 4th January. After shooting on 21st we will be retiring to the bar for a celebratory drink. September's match was the last in this summer season of postal short metric rounds. Steve Prinn, Geoff Ingleby and myself scored 1602 which eclipsed our opponents, Exeter Archers score of 1502. Looking at the league table we should end up 4th in the division. Will Shackleton has volunteered to run the winter postal league, so the club has entered a recurve team in the British Archer Winter "Portsmouth" Postal League. Please listen out for when the matches are to be shot and feel free to volunteer your score each month. As the indoor season approaches arrangements have been made to start indoor shooting at Askham Bryan College on Monday 18th September and at Long Marston Village Hall on Thursday 21st September. Assembly time at both locations is 6.45pm. The September round of the 250 Prize draw was kind to Ebor Archers yet again. My personal number was drawn out first winning £80 immediately followed by an Ebor Archers number winning £10. More funds for the coffers!!! Ebor Archers featured in the Northern Counties Archery Society's Clout Championships for 2017 held at the ground of The Archers of East Riding in Hutton Cranswick. The NCAS area as well as Yorkshire covers; Lancashire, Cheshire, Cumbria, Durham & Northumberland and the Isle of Man. Geoff Ingleby and myself were selected to shoot for the Yorkshire Team against all the other counties, Geoff in the Barebow category and myself in the Recurve catagory. A World Archery Metric Clout was shot on Saturday 2nd September in fine weather. Geoff shot well to come 3rd and I came 5th in our respective categories, both of us contributing to our respective Yorkshire Teams. Both of our Teams winning the individual team awards for those disciplines. Our Teams results combined with that of the Longbow and Compound Teams meant that Yorkshire won the overall trophy as well. Sunday 3rd September saw us shoot an Archery GB Imperial Clout, with similar results. Geoff maintained his form to finish 3rd in his class, whereas I struggled in the strong wind and slipped to 7th in class. However, our scores were still sufficient for Yorkshire to win our individual Team awards and again Yorkshire took the overall championship. Geoff shot his 3rd score to qualify him as a Master Bowman for 2017, so congratulations to him for some excellent shooting this year. 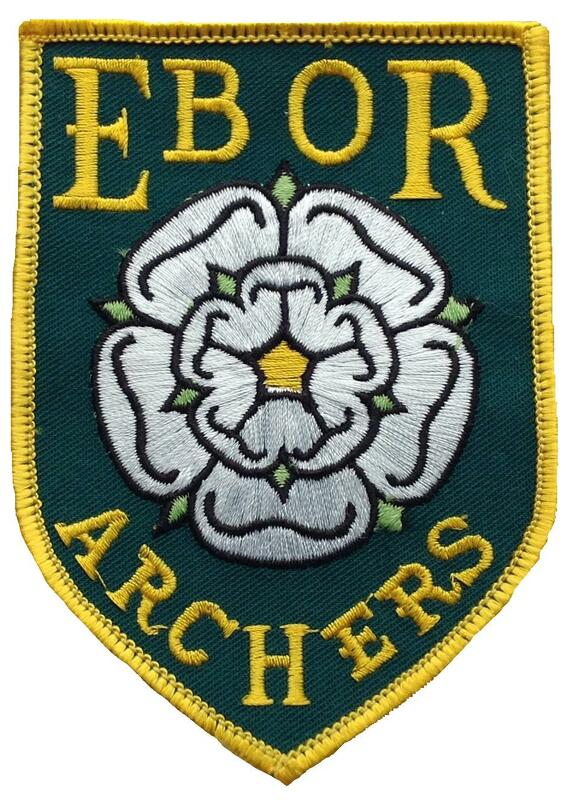 Ebor Archers is an archery club based in York, UK. Indoor and Outdoor Target Archery and Clout using recurve and longbows. Compounds and flat bows are also welcome.